The game centres around 3 double sided “riff cards” which provide a sequence of 3 symbols that changes in play. Players try to match these sequences from their hand of 2 cards. There are also 24 cards that form a draw deck, containing 16 sequence cards which are matched and banked to score points. There are also 8 “special” cards which allow players to make special actions. The game is customisable with several sets of special cards, which can be swapped into the deck to radically change the way the game plays. One set allows players to take cards from each other’s bank. Another allows extra turns to be taken, or to interrupt other player’s turns. These are adorable! 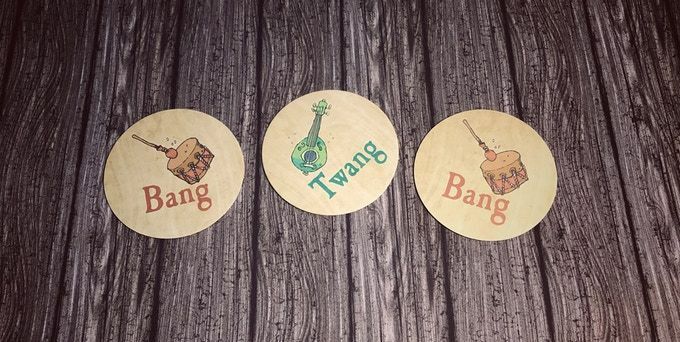 Replace the Riff cards you get in your Bang & Twang Box with a set of 3 Bang & Twang Coasters! 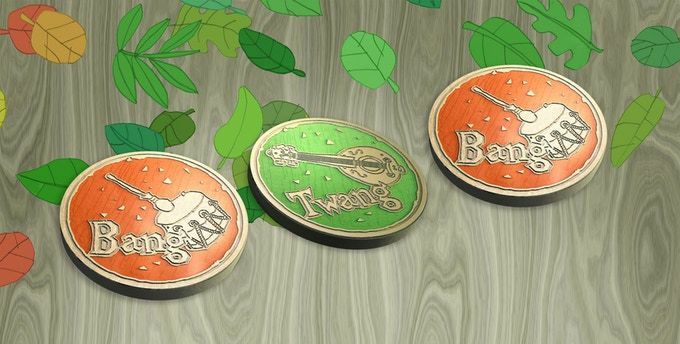 The Bang & Twang coins are something very special - a strictly limited edition set of real metal coins, with gorgeous enamel colours - green on one side, orange on the other. Made by the coin experts at Campaign Coins these are really amazing. 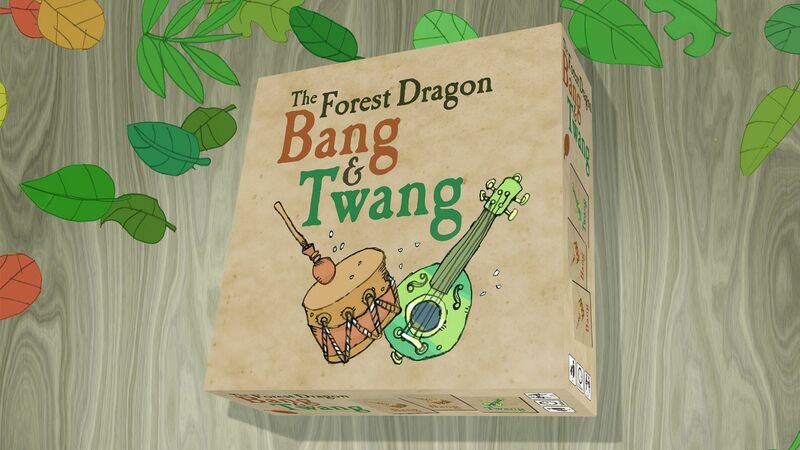 They come in a set of three, and are perfect to replace the riff cards in the Bang & Twang box for the fanciest game imaginable!